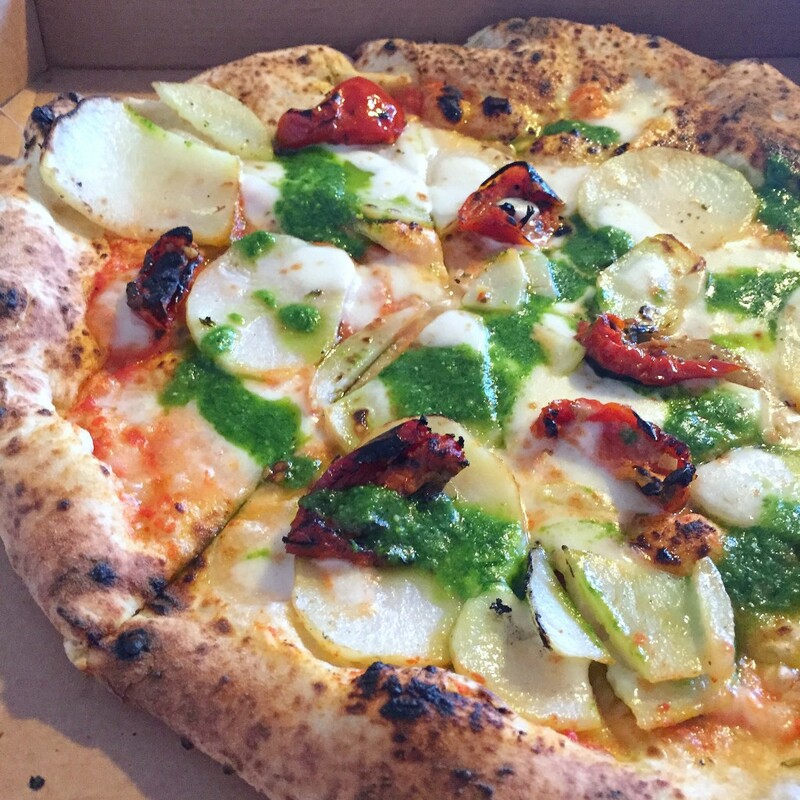 Sourdough pizza has come to Forest Hill! That’s right, we’ve got our very own little pizza place and spoiler, it’s awesome! 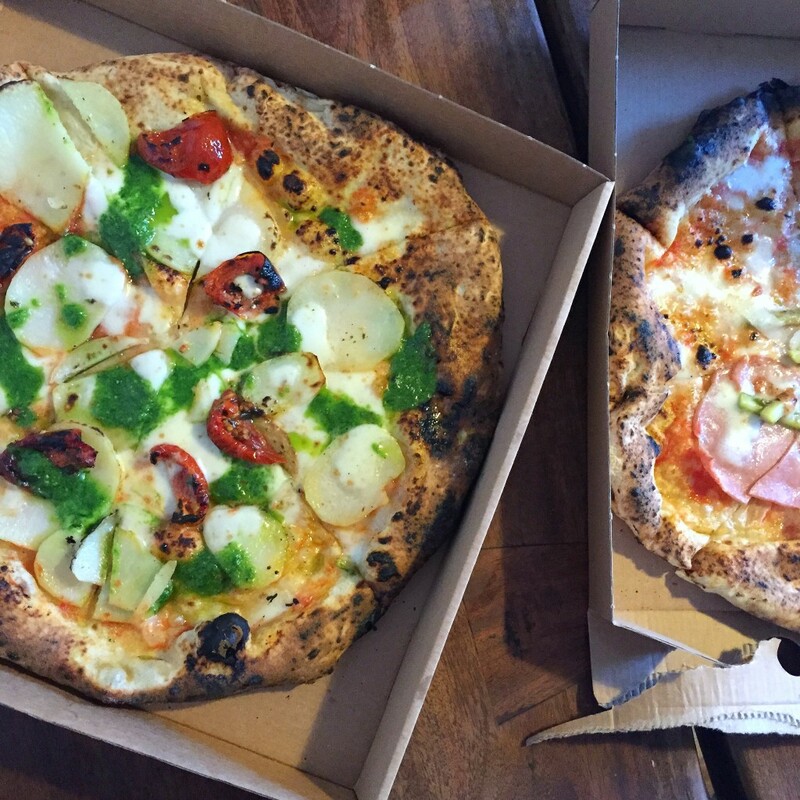 Bona Sourdough opened in late december last year and I think their pizza is some of the best in London. How do I know this? Well I’m glad you asked… I have been lucky/naughty enough to have eaten their delicious pizza numerous times. 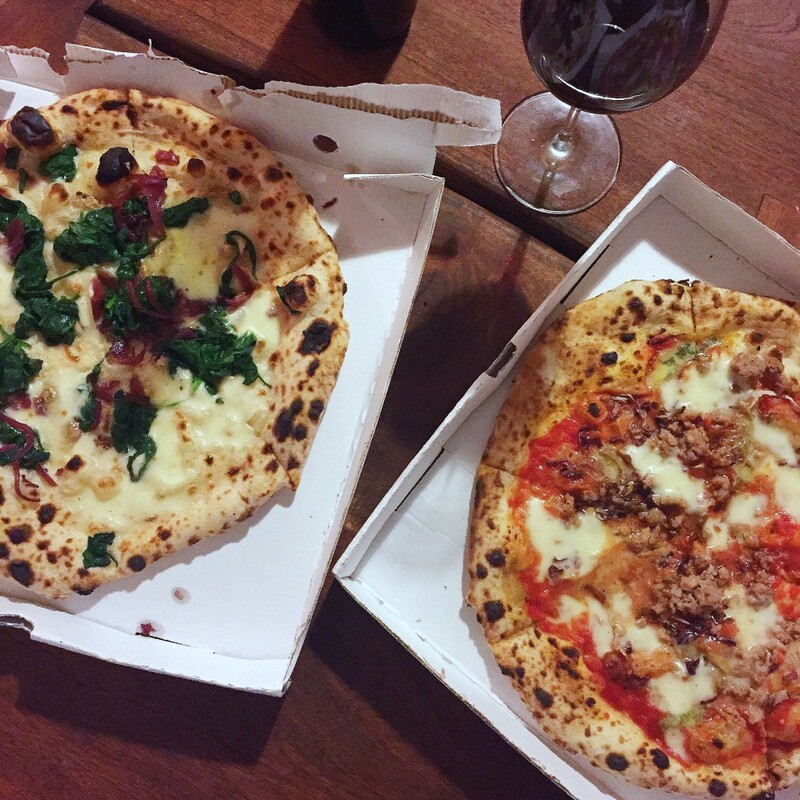 It has almost become our Friday night ritual to grab pizza and wine on the way home before we relax right into the weekend ahead. I mean we were actually stumped one Friday when Bona was closed for maintenance… yes the pizza addiction is real. Although I’ve ordered many a pizza to takeaway, it wasn’t until very recently I actually ate in the restaurant. It was a sunny Sunday afternoon and we decided to pop in before making our way to the cinema. The restaurant is bright and airy with large windows with the kitchen and their traditional wood-fired oven at the back. It was very different to the wonderful chaos on a Friday night when the whole of Forest Hill descends, filling all the tables and those like me ordering for home, huddle in the corner! 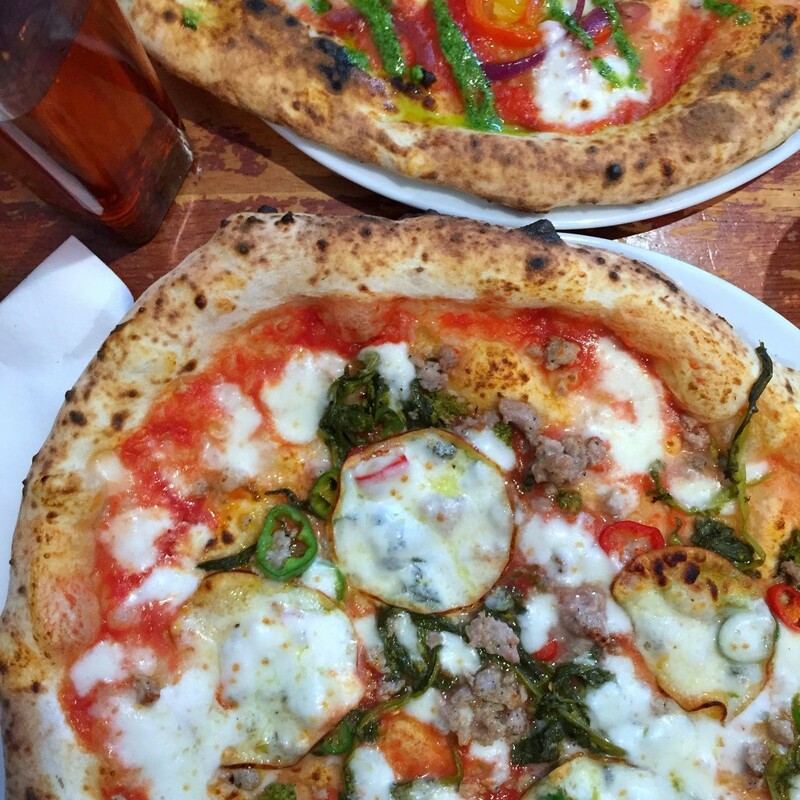 So, I have sampled a rather large number of the pizzas on offer at Bona Sourdough. We nearly always order both the specials (one meat, one veggie) on offer because they are so damn good. The options are always interesting and I am now addicted to blue cheese on pizza because of one of the first specials I tried. Yup. 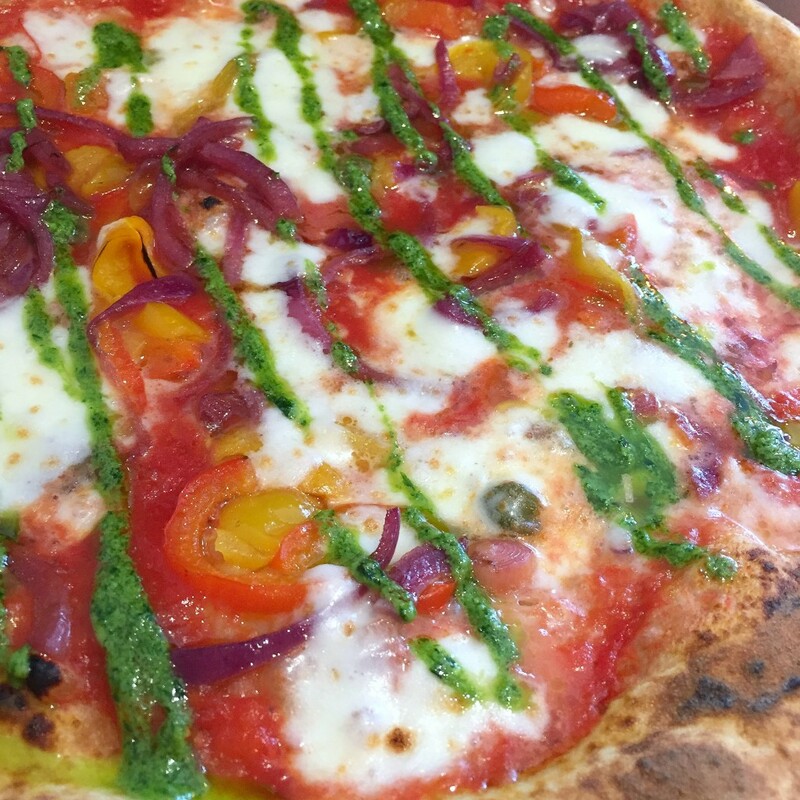 Toppings we love include: fennel sausage, wild broccoli, smoked cheese with fresh chilli; roasted tomato and onion with wild garlic pesto; sun dried tomatoes with potato and pesto and, minced beef, chilli and salami. The bases are cooked so well too, with the perfect ‘sourdough chew’. There is an amazing buzz in Bona on a Friday or Saturday night, it’s always full to the rafters! And there is a lovely chilled vibe on other days. The staff are friendly too so there’s not much more you could ask for really. I’m so happy Bona Sourdough decided to open up shop in Forest Hill – welcome to the neighbourhood!